I worked at the CNE for three summers as a teen. At the time, the Hockey Hall of Fame was located on the Ex grounds so for 20 days ever summer I'd be within walking distance of this shrine to Canada's sport. Periodically, NHL players would sign autographs outside. One morning I read a sign outside the facility claiming Ed Olczyk would be signing autographs that afternoon. 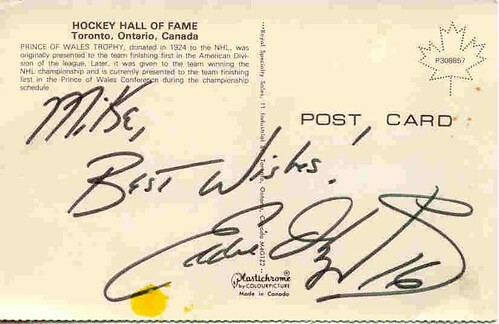 I made sure to free myself up to meet Eddie O, the best Leaf at the time.